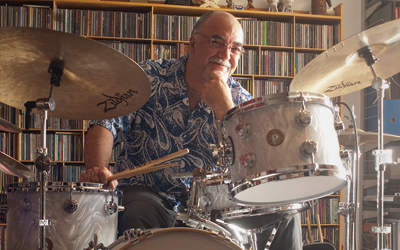 Peter Erskine played 2 DW drumkits and selected Zildjian cymbals for the recordings, conducted by experienced BFD sampling guru John Emrich in Peter's own studio. 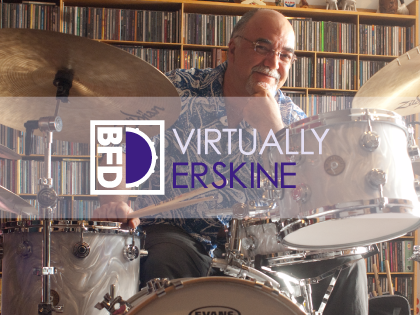 BFD Virtually Erskine features almost 15GB of highly detailed instruments including selected stick and brush versions and is particularly suitable for jazz, pop, rock and fusion. An accompanying Groove Pack, Virtually Erskine Grooves, is also available. BFD Virtually Erskine is produced in association with Cymbal Masters.